Loose pavers within a walkway or patio can cause trips or falls resulting in injuries if left unfixed. Brick or stone pavers may loosen over time, as the sand settles into the ground making the pavers appear lopsided. The pavers require filler added underneath to plug in any gaps created when the sand receded into the soil. 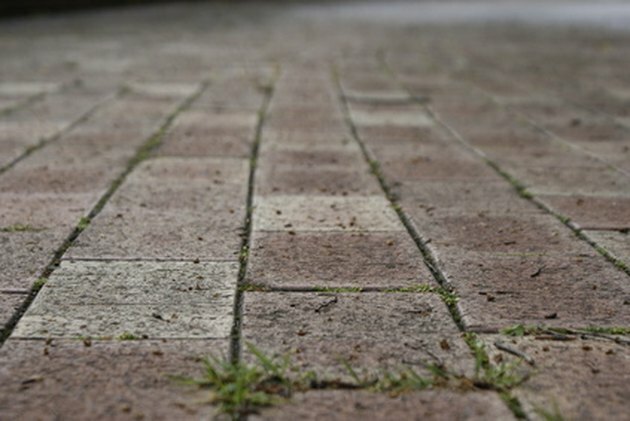 Once properly repaired, your pavers will look uniform once more. Repair loose pavers by adding sand under the paver. Remove the loose pavers one at a time. If you cannot lift the paver, place the end of a flat-head screwdriver at the edge of the paver and lift it up. Grab the lifted side of the paver and remove it. Pour 1 cup of sand into each hole of every removed paver. Push the sand around with your hand to level it. Place each paver back into the same hole that it was removed from. Rock the paver back and forth. Remove it and place additional sand into the hole if it remains loose. Continue in this manner until the paver has stopped moving. Repeat the procedure with each paver. Spread sand over the top of the pavers after repairing. Sweep the sand into any gaps beside the edges of the pavers. Sweep excess sand from the area.